How did the wrong drug Gentamycin from China managed to enter Zambia and be distributed to health facilities? Each medical product which is entering Zambia is checked and certified by Zambia Medical Regulations Authority (ZAMRA) and MOH inspectors before it its put on market or distributed for use in health facilities. But how did this wrong drug which cause severe side effects pass? The love for money by our leaders is worrying that now the poor Zambians in our communities pay the heavy price. I wonder how many fake drugs are in our clinics and hospitals. I wonder what kind of medical products we take into our bodies. Only God knows. Due to corrupt leaders now even simple Panadol or Amoxyl is not there in clinics, medical supplies are not there in clinics. U only find condoms. Where is the money budgeted for health going? 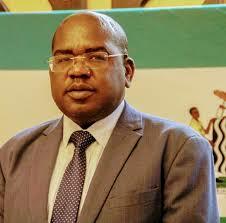 Ba Dr Chilufya you have failed Zambians. As much as Health services are free in most facilities, there is keenly no service to receive apart from being guided by the health practitioners of where to go buy medicine. Hospitals and clinics have no grants. Where is the money going.